The following steps are to be done inside the initial chroot during install. Before creating the initramfs, edit /etc/mkinitcpio.conf to add the necessary modules for KMS (depending on graphics adapter of the systems). Use lspci to know which one applies. For example nouveau, i915 or radeon. Also include the 'resume' hook to be able to boot from hibernate. 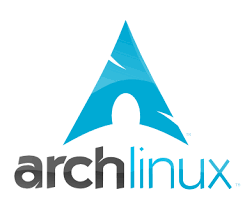 HOOKS="base udev resume autodetect modconf block filesystems keyboard fsck"
See Power management and mkinitcpio in archwiki. For other setups (UEFI, etc) see grub. I prefer Zsh to Bash. For administration I like sudo. See Disable PC speaker beep. After rebooting, login to your account and try to use sudo to check that everything is properly configured. Before installing the desktop, I like to setup some basic utilities. The vim package can be later changed to gvim when a desktop is available. If you have a VPN you can install networkmanager-openvpn and edit /etc/hosts. For ethernet gigabit networks I like to use NFS and autofs. Add the hostname and IP of your NFS server to /etc/hosts. Edit /etc/autofs/auto.master to uncomment the line starting with "/net". This way you can find your NFS exports in /net//. Install CUPS and Avahi (to be able to automatically detect new printers). Before adding printers, ensure you have the necessary drivers installed. See epson drivers and canon drivers. Don't install keyring because gnome-keyring provides the same funcionality inside Gnome. With keyring the gnome-keyring can't work as expected (id_rsa ssh key isn't unlocked with login, for example). Configure PostgreSQL with PostGIS in Archlinux. This laptop works great under linux. I installed Lubuntu on it and everything went right but two things: wifi and BIOS booting. Both can be solved so I am happy with the purchase. The only drawback i found is that ethernet adapter is only 100 MHz and not gigabit. Too slow nowadays and not what I expected. Nothing that can't be solved with a cheap USB3 to ethernet adapter. I will describe how to overcome this "small" problems (It took me hours to find out how, searching forums and wikis... thanks to everybody). There are several good articles on how to redirect an audio stream from one computer to another or how to multicast from one computer to many of them using PulseAudio. But I found some unexpected problems when trying to make it work.